I fell in love with the large birthday balloon image in the stamp set included in the kit. 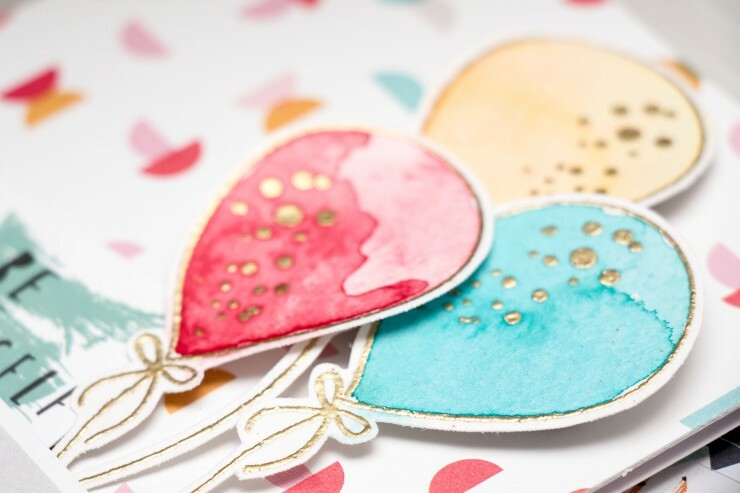 I heat embossed several balloons in gold embossing powder from Hero Arts onto watercolor paper, colored with watercolors and cut out with my scissors. 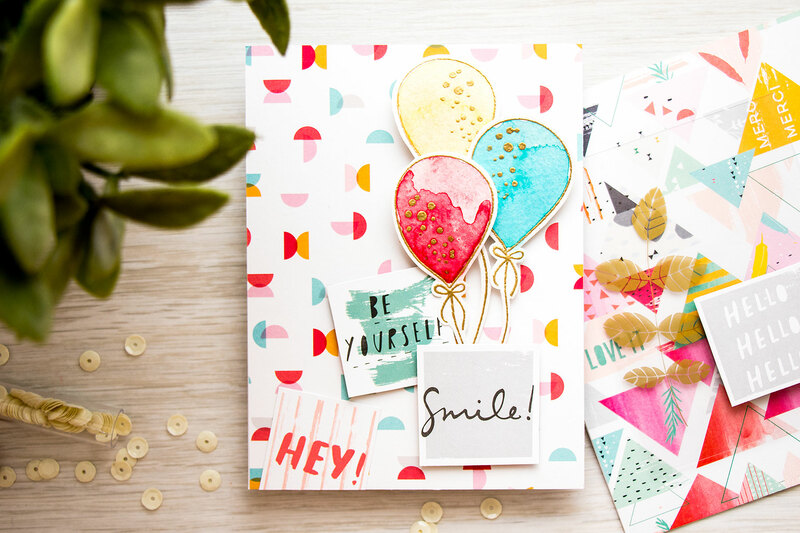 I also added little confetti pieces inside the balloons for a something little extra and foam mounted them onto an A2 top folding card base covered with patterned paper from the kit. 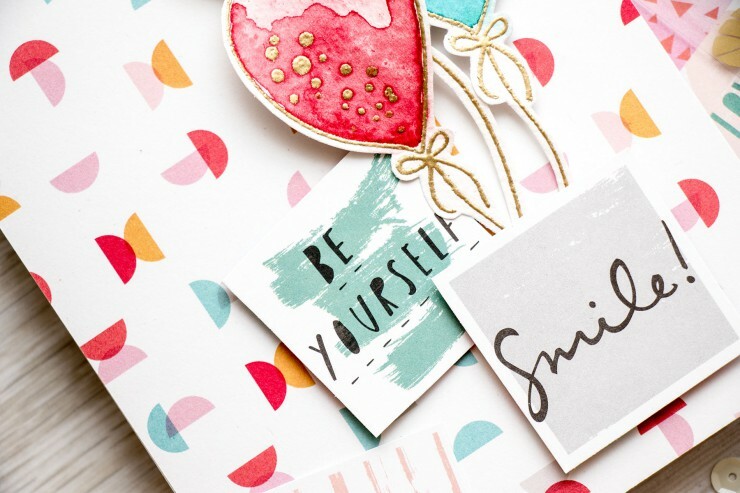 Instead of stamping a sentiment I cut out little journaling cards from the patterned paper that came in my kit and adhered that onto my card using foam adhesive. What a cute card. I like what you did with your balloons. I like that it could be a non-birthday with balloons. Thanks so much.